Become a Tour Member to help us introduce new audiences to the joy of opera and support up-and-coming young artists. As a Tour Member you will enjoy priority booking for an autumn of exceptional opera at Glyndebourne. Glyndebourne’s first ever production of Verdi’s Rigoletto opens Glyndebourne Tour 2019, along with revivals of Handel’s Rinaldo and Donizetti’s L’elisir d’amore. Priority booking for Tour Members’ began on Monday 23 April 2019. Public booking will open on 3 June. To purchase Tour Membership as a gift please call the Membership Team on +44 (0)1273 815 400 (Monday to Friday, 10.00am-5.00pm). Insights behind the scenes such as attending a rehearsal or a backstage tour. ​Enjoy a closer relationship with the Tour by becoming a Tour Affiliate. We recently celebrated 50 years of the Glyndebourne Tour and looked back at five of our golden moments during this time. 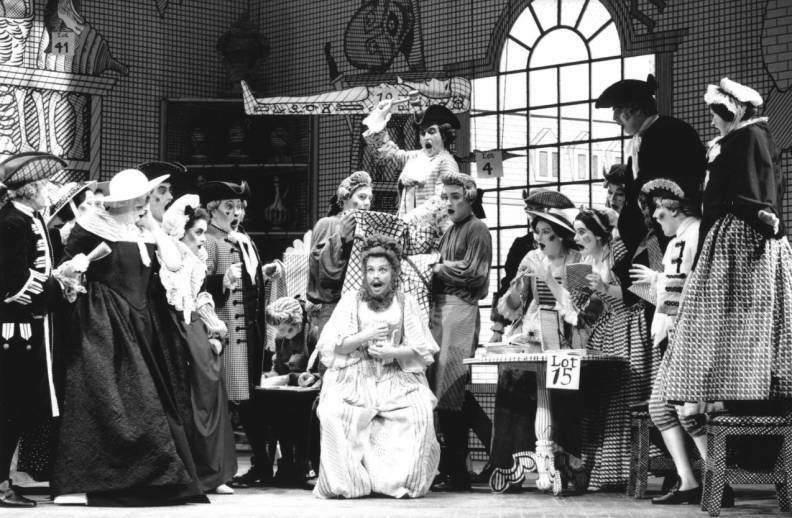 Founded by George Christie in 1968, we are proud to say that 50 years on the Tour continues to bring exceptional opera to more people and nurture fresh talent just as he had hoped it would when he first launched it. See Tour Membership terms and conditions for more details.